What is the difference between dry and dehydrated skin? We’ve all said it. Maybe you say it on a daily basis. “My skin feels so dry”. But do you know there’s a BIG difference between dry and dehydrated skin? Knowing the difference allows you to choose the correct products that target the cause of your dehydration or dry skin (or both)! The difference between dry and dehydrated skin you ask might not be so clearcut when they technically ‘feel’ similar on the skin. The skin feels taught, looks dull, and feels thirsty! However, they’re thirsty for different reasons. Dehydrated skin is often a result of lifestyle choices. If you’ve been enjoying a few too many glasses of red wine, started ordering double strength long blacks; made the transition to urban living, or sitting under some powerful airconditioning lately, then you might be experiencing dehydrated skin. I like to think of it as the body’s ways of telling you to slow down, audit your lifestyle, and get things back on track. Anyone can suffer from a stint of dehydrated skin, regardless of whether your skin type is naturally oily or dry. Is your skin absorbing moisturiser a little quicker than usual? If you press on your skin – can you see tiny little super-fine dehydration lines (like crepe paper)? Have you started using a new product that is stripping your skin – for example, a new detox mask or acne cream? These often have drying ingredients in them. Is your makeup suddenly not doing what it should? Your skin may be sucking the moisture from your foundation or other skincare products. Has your environment changed? Wind, cold, sun or even a change in air conditioning may cause your skin problems. Maybe you’ve started having long, hot showers that are stripping your skin’s moisture. How is your diet? Caffeine, alcohol, not enough water or the wrong diet can all contribute to dehydrated skin. To treat dehydrated skin, you should find products that help your skin retain moisture throughout the day, such as our Boost Balancing Moisturiser and commit to using this every day. Daily hydration is a must! Add a serum to boost the hydration – you can use this every day or as often as you feel you need it. 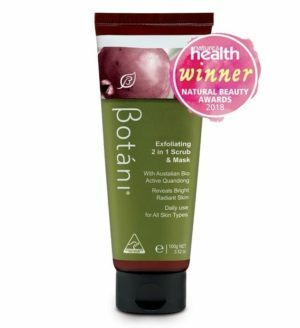 Try the Acai Berry Active Antioxidant Serum in the morning which gives that extra bit of environmental damage protection too! Dry skin is a skin type, and you’ve probably always suffered from it – heck your mother or your grandmother might also have dry skin. Although lifestyle choices can affect your skin type, dry skin isn’t likely to go away after a weekend detox session and upping your water intake won’t turn your Sahara desert into a green rainforest. Dry skin is when your skin produces less natural oil than required. Your skin feels dry every day (unless you’ve already managed it with the right daily routine). If you stopped using your face care regime – you know that your face would feel dry immediately. Other people in your family also suffer from dry skin. Your skin may suffer from flakiness. Other parts of your body might be dry too (dry scalp, dry legs, dry feet). Your skin may also be sensitive/reactive too. As you age, dry skin becomes more prevalent as natural oils deplete within the skin. Dry skin needs a little more. You should be using products that replenish the skins oil levels as well as the moisture that is lacking. If this is you, then give your skin some extra love by using products that not just moisturise, but also replenish oils and help to keep your skin’s natural moisture barrier intact. 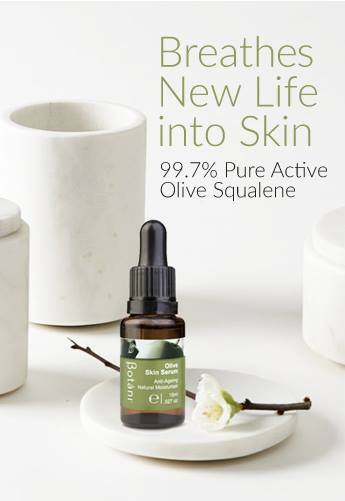 Replenish your squalene levels every day! 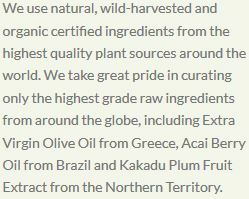 Many of our products contain Olive Squalene. A natural plant active that mimics your skin’s natural oils (that deplete as you get older). 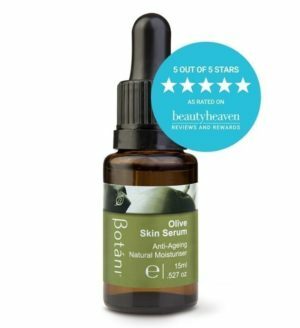 The product with the highest concentration of Squalene is the Olive Skin Serum – with 99.7% pure active squalene sourced from sustainable olives. 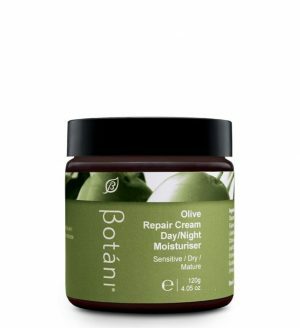 Now, this is a dry skin saviour right here! And always exfoliate to prep your skin! Use the Exfoliating 2 in 1 Scrub and Mask a few times a week to slough those extra dead skin cells away. 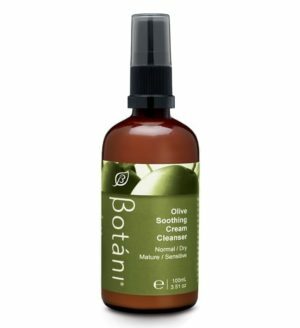 This preps your skin to better absorb the nourishment from serums and hydrators. Knowing the difference between dry and dehydrated skin is integral to finding the right products to treat your skin best. We hope these tips have helped you determine if your skin is dry, dehydrated – or both! Let me know below what your most annoying skin problem is! 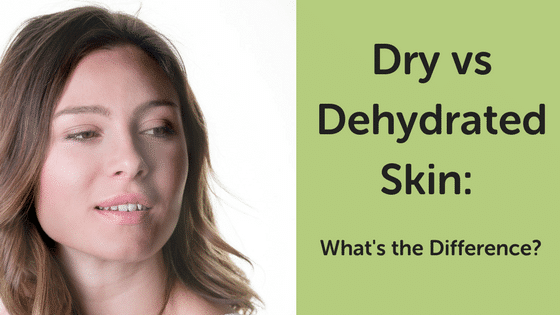 Is it your dry or dehydrated skin? Or something else? !